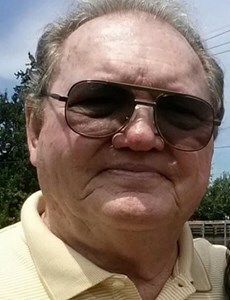 Leslie Hartman Sr. , 75, of Louisville, Kentucky, passed away on Tuesday, September 11, 2018. He was born on January 30, 1943 in Cleveland, Ohio to the late Frank and Eileen Hartman. He is preceded in death by his wife Deborah Sue (Hall) Hartman and son Leslie Hartman, Jr.
Les is survived by his daughter, Kristie Cox (Steven), three grandchildren Taylor, Zacharie and McKenna, sister-in-laws, Mary Meurer (Jay), Anita Coffman (Mike) and Tracy Hall. He is also survived by a host of nieces, nephews, cousins and friends. Per Les's wishes cremation was chosen and he will be entombed at Resthaven Cemetery at a later date. The family requests that contributions in Les’s memory be made to the Leukemia Society. Add your memories to the guest book of Leslie Hartman, Sr..
Les will be missed by many.He was very nice to me and my children over the years. I will always remember him for always helping Billy & I over the years.I know his soul is at rest now with Dee and Sonny.Prayers for the family!